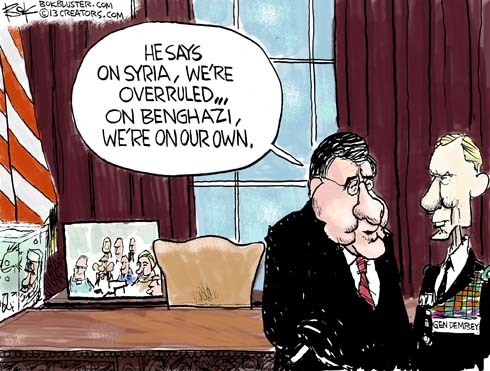 Benghazi: Bad Movie Review or Act of Terror? David Kirkpatrick wrote a long piece in the NYT December 28 that said the attack on Benghazi was the act of a bunch of locals very pissed off about a movie. The Washington Post later reported that a former GITMO detainee who had trained under Osama bin Laden and fought with the Taliban played a role in the attack. As they say, “what difference does it make?” Well, President Obama did say that al Qaeda was on the run and headed for defeat. After the attack Susan Rice went on five Sunday news shows to say it was caused by the internet video. And Hillary promised the father of murdered Navy Seal, Tyrone Woods, that they would prosecute the movie maker. Was Benghazi a Bad Movie Review or Act of Terror? 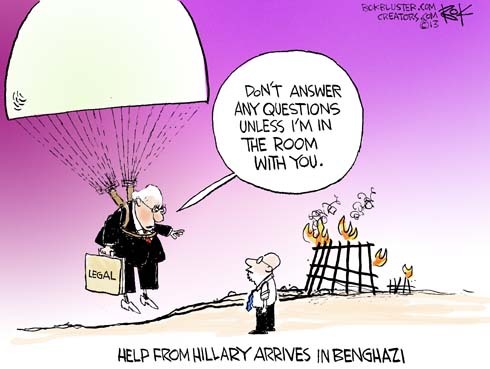 The fact is the mystery of Benghazi can easily be solved by the man himself. 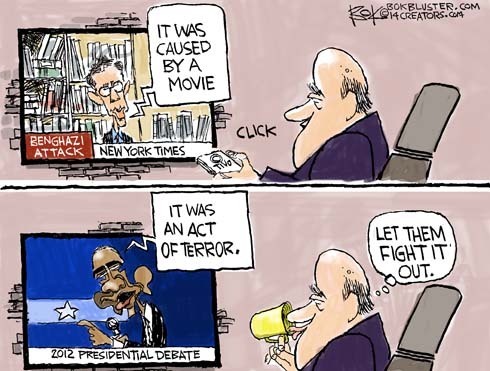 In the second 2012 presidential debate Obama insisted that it is was an act of terror. Here’s Andrew Wilson’s review in The American Spectator. 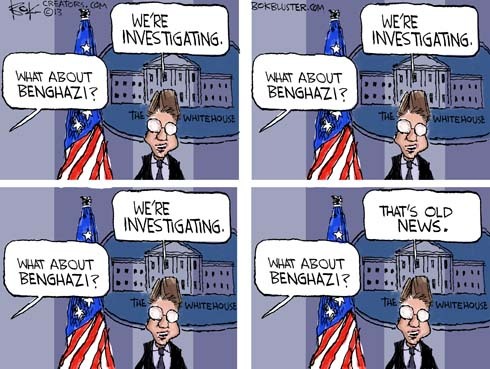 Jay Carney says the Benghazi attack happened long ago and and far away. While the State Department denied US Libyan Embassy requests for protection from terrorists it did send a lawyer to protect Deputy mission chief Gregory Hicks from visiting Congressman Jason Chaffets. When the lawyer’s lack of a security clearance kept him from a meeting Hicks was given a tongue lashing by Clinton lawyer Cheryl Mills. President Obama doesn’t like dissent and he didn’t get much of it when he appeared with Hillary for a slobbery 60 Minutes interview. The president requested the interview with Steve Kroft because, as Kroft told Piers Morgan, …“he knows we’re not going to play gotcha”. 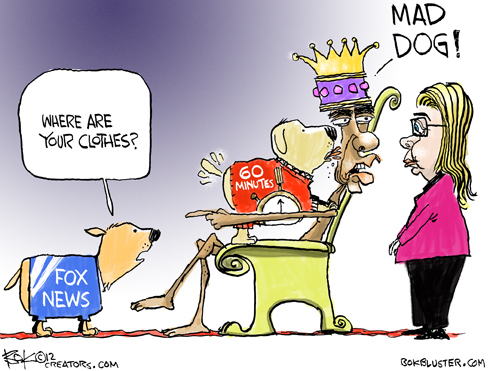 In another interview with the owner of The New Republic (also a former fundraiser), Obama trashed Fox News – again. And here’s a Connor Friedersdorf column from the Atlantic about Steve Kroft’s “softball interviews”.